Start from where you are and tweak your way to empowerment through a purposeful pregnancy and a beautiful birth. And you have probably wondered about how you can impact your pregnancy and have the birth you dream of. Maybe you don't know where to start and you feel overwhelmed. Maybe you think you can't do it. Maybe you are afraid of parts of the pregnancy experience and giving birth. Sometimes you might not even know what questions to ask or who the people who can support you are. There are so many different sources of information telling you to do a million things and you don't where to start and what even makes sense for you. you answer your questions and solve your problems. a level you feel that you can't keep up and it's overwhelming. ....or you might not know where to turn at all. Yet in spite of all the overwhelm you know that by educating yourself, knowing your options and finding the appropriate tweaks for you and your body, will help you have the experience you want, and that is best for you. You don't spend a lot of time being pregnant and a much shorter time giving birth, make it awesome, and make it count. That is what I am going to help you do. and that you might even think that you can't make an impact. optimize your nutrition, and knowing why and how it will impact you and your baby. learn how to move, how much and how often, all the ways it makes you and your baby happy. figure out what support you need, through empowerment to confidently choosing the path that leads to your best pregnancy and birth. information until now is a smart move. I realize that's a bold and maybe strange sounding statement, I will tell you why I am making it. Thousands of women around the world are having babies and getting pregnant every day. Every day there are about 300,000 babies born worldwide, most of them are fine. And you could have started reading all the books and doing all the research, interviewing specialists and filtering all the information yourself. Many women end up traumatized by birth and have a much harder pregnancy than they need to. Many women end up depleted and overwhelmed after having their babies. Most women don't feel empowered enough to make the births and pregnancies theirs. And the things nobody tells you, like how there are uncomplicated and efficient ways to naturally handle most pregnancy symptoms. How asking for the support you need, knowing what can be helpful for you. And using your knowledge, and doing the work will have you feel that you do what is right for you and your baby. First you go and see your OBGYN, and because they are your doctor and they work with pregnant women you expect them to have all the answers for you. If you find a good match you will have someone who shares your values, who hears and sees you and takes the time to listen. Maybe they tell you some things you didn't know, after all they are incredibly skilled in their area of expertise, but unless you or your baby are in danger they will most likely not make a huge effort to make your pregnancy the most comfortable, your birth non traumatic and your postpartum nourished. Then some of you will see a midwife, and depending on her inclination she might be similar to your doctor, again, highly skilled in her field, and she might have a holistic approach that will nourish your body and soul. Either way she might not know how to give you advice on nutrition (the average MD has eight hours of training in nutrition, midwives can have more or less). She might not be able to guide you in how to use alternative treatments during your pregnancy, but she will be able to help you birth your baby healthily. She will have loads to offer, but not everything. They will do their best to get your baby here safely, based on statistics and non specific advice, which is so important and helpful in a big picture kind of way. But I want you to know your options, know how to get the support you need and most of all I want you to know what to ask for and whom to reach out to. I want you to feel good about your pregnancy and birth. I want you to not be afraid to aim for a painfree and present pregnancy and birth and to feel great with the choices you for you and your baby. But for many of them they are not. medical in its strictest form will be generic. But maybe they are not the things that actually make sense to you, maybe they are not wrong, just not right for you. You might think that being pregnant is by default painful or uncomfortable. You have your baby with interventions you didn't want. Or that you didn't know enough about to ask for alternatives. somehow it could have been different. Don't get me wrong, sometimes pregnancies and births don't live up to your dreams, sometimes they are wonderful, sometimes traumatic. Sometimes things go wrong. But when you are educated, present and in charge, your whole experience reflect that. I met a mom many years ago who had planned for a home birth both times she had babies, and ended up transferring and having Cesarians. But you know what, she was so happy and spoke with such love of her experiences, because she had done the work. She didn't get what she wanted, but she was so well prepared and knew all her options, was present through the whole thing, that she was able to roll with the punches and have a beautiful experience birthing her babies. Birth can go in so many ways, just like the path leading there. When you use all your tools towards your goal, whatever turns you encounter will not derail you. Because even though there are too many variables to count that play a role in your pregnancy and birth, there are more things that make us same than different and knowing the variables and figuring out what yours are will allow you to tweak the details, and that is powerful. And if you could create your profile and find out where to put your focus your whole experience would change. - you would know how to eat well to support yours and your family's health within the framework of your restrictions and preferences. - you would feel confident that moving and strengthening your body will improve all areas of your life and is simpler than you think, I will teach you how. - you will know how to build your team, who to include and who not to include. - you will have the right questions to ask your provider to reach your goals. - you will realize that small tweaks, when they are the right ones, make a big difference and doing the work is an enormous investment in your family's life. It changes everything. It really does. Changing your mindset from "have to" to "get to" is huge. I get to meditate most days. It exponentially changes how I connect with my children every day. I move my body every day and not only does it make me feel happy (hello endorphins :)), it makes me strong enough to keep up with my kids and lets me do all the fun things with them that I want. Understanding the small and big tweaks puts me in charge. I'm not saying you will look like a supermodel with no aches and pains after two days, but you will be your version of supermom who will teach and inspire your family to ask questions and connect to themselves. where to get it for you and your baby? It's attainable for you, step by step. Because I know that you are a smart parent who wants to make the best choices for you and your family, but you know what? We have strong intuition, but it doesn't mean that we know all the options and information without studying and learning about it. Drawing from the universal knowledge and sorting it out to fit our needs will not only get you on the right path, it will get you there efficiently and safely. - build your pregnancy and birth team, know who you want on them and who you don't. - confidently move your body, and enjoy moving your body as you see all the ways it benefits you. - eat and nutritionally nourish yourself and make the most delicious and nutritious choices every time you put something in your mouth. - learn to put your mask on before helping others. You know on planes when they tell you to put your oxygen mask on before helping others? With your easy access to your breath and your tools to be calm and centered, you are good to go with the tools you get in our course. - you will know where to make the tweaks and why. You will spend less money and time, and energy, because you don't have to try everything, just do the things you need. - it's how I do it with my kids, you get to benefit from my trials and errors. - it's the difference between overwhelm and confidence the I want to help you overcome in the next few weeks. - but you might wonder why you should take this journey with me? "When I was full term with my third baby I was so busy and wound up by taking care of my younger kids. I emailed Hanna for help and she sent me some guided relaxations. They were what I needed to go into labor, I wish I would have gotten in touch much sooner!" "Things I learned with Hanna about being kind to myself and how small changes make a big difference didn't just make my pregnancy manageable, but our whole family is now healthier because of it." Why now is the perfect time to offer this pregnancy and birth interactive multimedia course. Now I have been supporting and guiding women through pregnancy, birth and breastfeeding since 2005 (the same year I had my first baby). The material in this online course has grown and come together into an interactive, very information rich and comprehensive course. Its first version was a few PDFs and some audio, now it's a system of over 100 moving pieces. 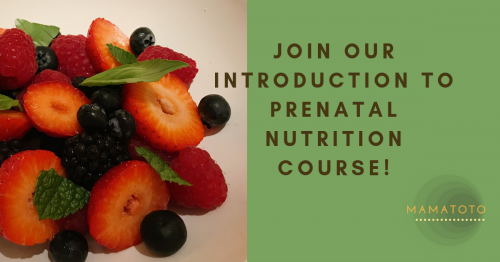 You should absolutely not take this course if you do not want to take charge and make changes to feel better and make informed choices about your pregnancy and birth. And if you don't want to do the work, this is not for you. It's a big investment in your time and money for your health. Taking this course without implementing what you learn will not give you results. When I had my first baby I was in graduate school and became an advocate for women being able to comfortably and easily nurse their babies out and about, as they are, with Mamatotowear. We were doing Fair Made before it was a thing and helping women have the freedom of movement our tops gave them. Between my first and second baby I did so much research. And I spent a lot of money seeing all kinds of pregnancy specialists to make sure I could figure out how to tailor my best pregnancy and birth. Then I had my second baby, at home, easily and pain-free. My water broke at 6 pm, my baby was born at 11 pm. A moment after he was born I said I want to do it again. It was the most amazing, powerful and present thing I had ever done. My midwife still uses my birth story to inspire her moms. So I started documenting, researching more, interviewing specialists and mothers to be able to help other mothers find their journey and guide them through. I spend a few years building and writing the first guide and I kept hearing from moms and the pros who used and read it how they wish they had had it sooner and how they wished their clients had had it before. So I kept building, one iteration was up, and I worked on the next edition to give you something even better. Sure, if you are not really committed to making improvements and getting real results then the odd book or recommendation from your MIL or friend is great. But when you have mothers around the world listening to and relying on your information, wanting TOP training and are willing to do the work, only in depth information and doing the things that get you results will do. - not knowing how to relieve common pregnancy symptoms. - not able to evaluate yourself in statistics. - not have the tools to nourish yourself during and after pregnancy, and to know why. 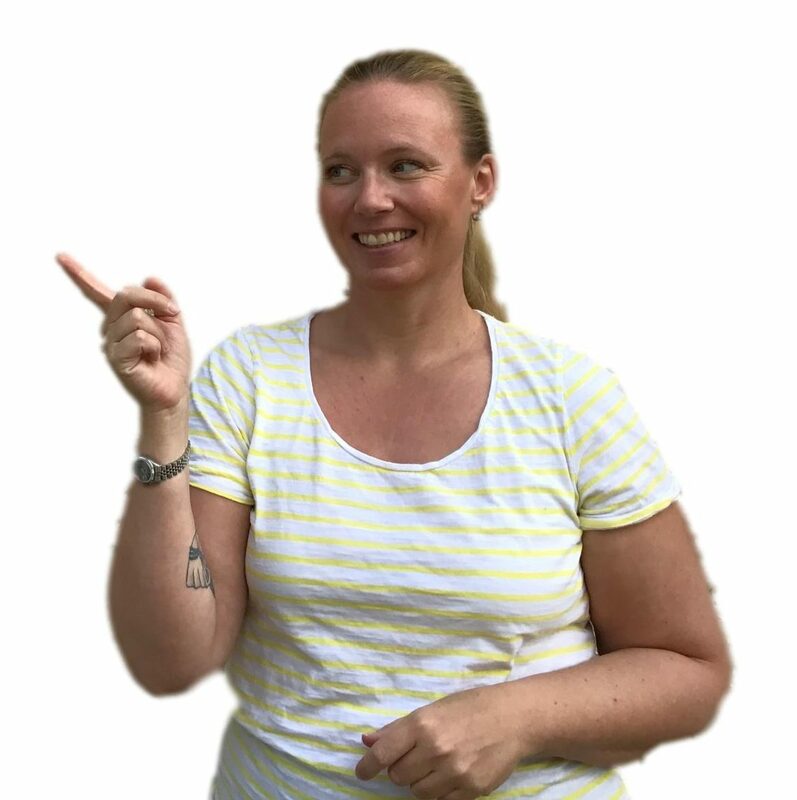 That's why this course has gone through refinement, research, fine tuning and optimizing so that with all the information it contains, and it's a lot, it is designed for you to be able to digest it easily and get the most out of it. Why would you even need a course on pregnancy and birth? You donf't need to take it. But you might want to arm yourself with questions, answers, knowledge and empowerment if you want to have a great experience. This is for you. Let's talk about some myths around pregnancy that stand in your way of the best experience you can have. Myth #1: There are no safe and natural ways to handle pregnancy symptoms. There are plenty of safe, natural and effective ways to handle everything from morning sickness to heartburn, constipation, back ache, leg cramps and wild mood swings. You just need to know where to turn and know the difference between what you can do yourself and what you need to see a practitioner about. With the arsenal in this course you will know what to do with most things. Myth #2: Pregnancy is the time when I can eat whatever I want, I will be gaining weight anyway and either way I am eating for two. This myth is not only untrue but it undermines one of your sharpest tools, nutrition. You do not need to double your caloric intake and this is the time to make every calorie work for you. Pregnancy is when what you eat counts more than ever, all your calories help build your baby. What do you want to make your baby of? And you don't need a lot of extra energy, but you do need extra nutrients so making sure you are eating optimally is SUPER important. Myth #3: Exercising is bad during pregnancy. One of our experts says: "you should not be afraid to exercise during pregnancy. You should be afraid to not exercise during pregnancy". The benefits to you are huge. The benefits to your baby are huge. What you do need to know is what kinds of exercises are safe and to pace yourself appropriately. Myth #4: I don't need to have a prenatal multivitamin or other supplements, my baby takes whatever it needs. All our experts agree that this is false. Your baby will deplete you if you don't get enough nutrition, and there are some nutrients you need a lot more of during pregnancy, knowing how to nourish yourself will impact you for years. Are you ready to hear more? 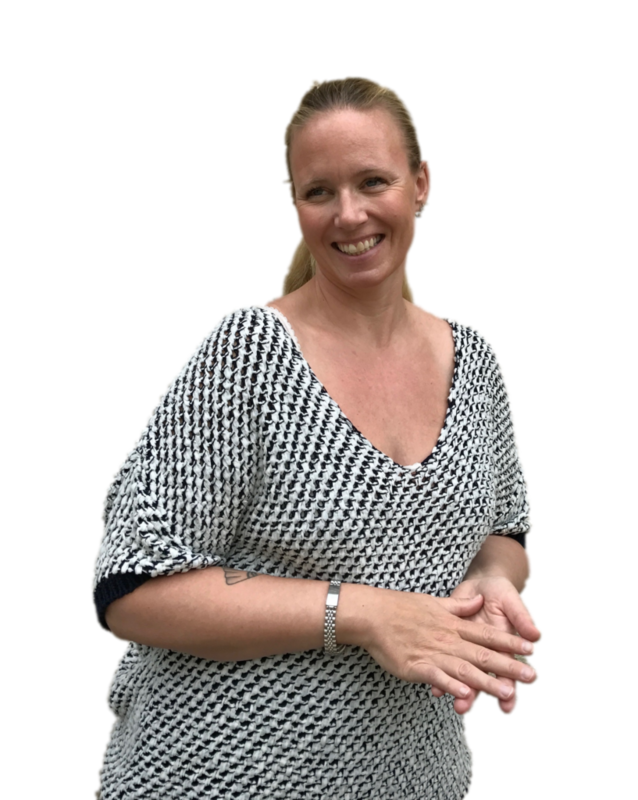 And are you ready to filter out and weave through all the information out there and instead get a deep and profound knowledge of the steps you have to take to make your best pregnancy and birth? I found my path to a happy, healthy and painfree pregnancy and birth, are you ready to find yours? Are you ready to be transformed into the mother who confidently navigates the health choices for herself and the family? -you don't know a lot about nutrition, the why's and the how's. -you are not a zen yogini (or if you are). -you are terrified of both the overwhelm of choices and of doing them. -you are quite familiar and have an idea of what you want and you want to go deeper. 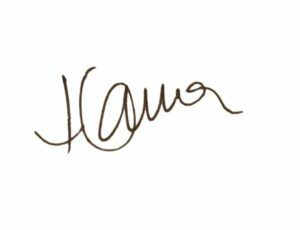 The Mamatoto guide to Pregnancy and Birth with Hanna Schaer. The complete guide to becoming an informed parent, armed with knowledge and resources to create a happy, healthy pregnancy and birth. How feeling in charge of your pregnancy changes everything for you. You will have the confidence and know how of making the necessary changes you as a mother can do for you and your beautiful, beloved baby, before it is born, and then keep it going. - gives you the kind of deep knowledge and information the cross between research papers and deep conversation with a world class practitioner would, and does. - gives you both the easy to implement plans to get you started right away and all the why's behind it. - gives you complete workouts, including five prenatal yoga videos. 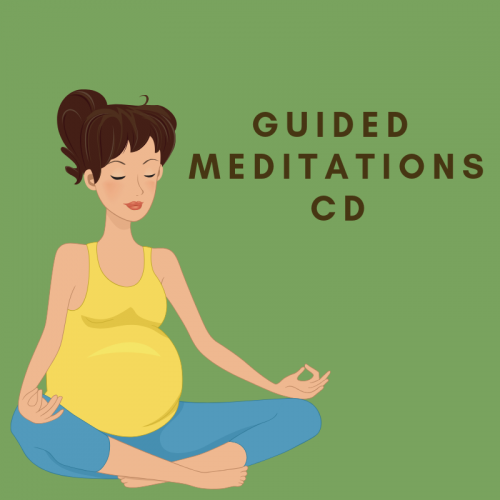 - gives you a library of guided meditations taking you through pregnancy right through birth. - holds your hand through serious and fun, nurturing your body and soul, and gets you super excited about all the things you can try. To make sure you feel really supported you will get lifetime access to the Mamatoto guide to Pregnancy and Birth course. There may be loads of ways to choose to move your body, and yoga is just one, and to give you more options in your practice you get two prenatal practices to do at home. -you don't have to go anywhere. -and you will run out of reasons not to move, you just do it. Your body and mind will thank you. We go through your lifestyle and budget and talk about all the areas where you need gear, what you need and what you probably don't need. Doing an analysis and separating wants from needs will save you a lot of money. Interviewing your team can be a bit daunting and we help you find the right questions to ask so that you don't end up with unpleasant surprises when choosing the most important members of your pregnancy and birth team. If you are birthing at the hospital there are some things you need and some that you do not need. Getting all the best tips from Doulas and Midwives on what you actually need during birth (things you would never think of). We will go through the needs, wants and things to pass on to keep your luggage light and your focus on giving birth to your baby, comfortably. Feel confident that you are eating to nourish yourself, deliciously, while doing something major for your health. Be strong and fit, have enough energy and strength to do all the things you want, whether it's birthing with ease, play with your kids or hike with your friends. Know that you have a team in place to keep you healthy and comfortable, and safe. Understand how your body changes and your baby grows and develops during pregnancy, from the hormones to the immune system, your joints, your brain and your heart, so you can support yourself like you need. That is what I am offering you today. 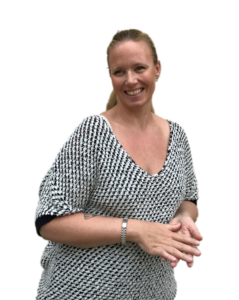 "Taking Hanna's course gave me a much deeper understanding of my pregnant body. It helped me make easy changes that gave me huge improvements, some that I wasn't expecting. I am so thankful for her support." Join the Mamatoto guide to Pregnancy and Birth. And I am not even counting the ongoing valuable support I send you via email once we get started. But because I'm really happy and excited to welcome you to the Mamatoto tribe, and watch you love your pregnancy and birth, I'm giving you the opportunity to enroll in the Mamatoto guide to Pregnancy and Birth for the special limited time price of just $997. This is why you need to get started right away. The goal of the course is to get you on a happy and healthy path of your pregnancy and birth. -every day you are not eating optimally you are wasting an opportunity. -every day you are suffering from pregnancy symptoms you can treat and prevent are days for you with discomfort. If you are not sure about buying the course. You might have taken courses that disappointed you. You see, I really want you to have the best pregnancy ever, so I'm giving you two months to go through all the classes, do all the assignments, try all the tings we recommend and use all the resources, and see how your body and soul will benefit from it. If you get in touch within 60 days and you can show me that you have done the work (you will have to show me proof) and for some insane reason you do not feel more knowledgeable, empowered, strong or armed with tools to tackle pregnancy, birth and motherhood, I'm happy to return your money. BUT YOU DO HAVE TO DO THE WORK! 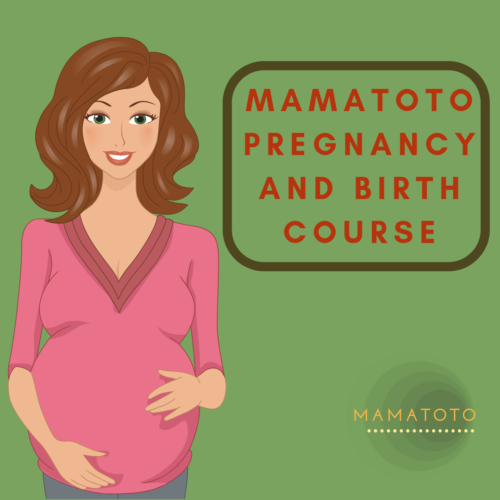 The Mamatoto guide to Pregnancy and Birth course is for mothers who take theirs and their babies health seriously and are able and willing to do the work to reach their goals. I'm super strict, you have to do the work. Q:I am in my second trimester, will I still benefit from the course? and you will have tools to use after your baby is born too. Q:What if I don't know anything about nutrition? Q:I am trying to conceive, how can I prepare? Q:This is my second baby, will I benefit? So, how was your birth? New moms get asked this a lot, you might have asked it yourself. And you get to share your story, of how you went into labor. How it started, how it felt, how you felt. Your face will light up, you are in the motherhood club and you get looks of recognition, eyes and ears in awe from seasoned mothers and mothers to be. And you didn't have a trauma. You were prepared and relaxed and you met all the labor and birth's curve balls with focus, knowledge and calm. You've got this. You let your body do what it knows how to. And it was glorious. You get to look back at your pregnancy and birth and know you made choices from an informed and calm place. You get to tell your child their pregnancy and birth story with joy and love and share your wisdom with them. I wouldn't have gained sooooo much unnecessary weight. I wouldn't have been so uncomfortable. I wouldn't have been so unprepared. And I may not have had my unnecessarian. birth is the right thing to do. send you via email once we get started.